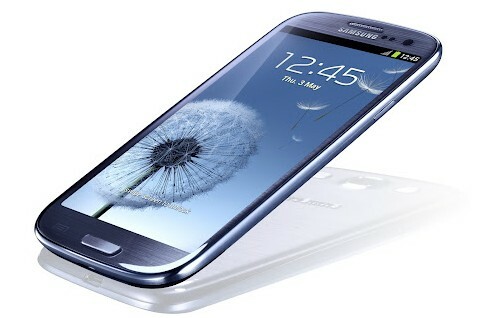 Starting this month, five U.S. carriers will begin selling Samsung’s Galaxy S III, the follow up to the no. 1 handset maker’s top selling Galaxy S II. AT&T(s t), Sprint(s s), T-Mobile, Verizon Wireless(s vz)(s vod) and U.S. Cellular(s usm) will all publish their own specific launch plans and prices, although Verizon has today announced pre-orders for its version will start on June 6. The carrier will offer 16 GB and 32 GB models for $199.99 and $249.99 with a two-year contract. Sprint and T-Mobile will launch the device on June 21. Samsung’s entire strategy for its new phone is very Apple-like(s aapl), including one model for all. Instead of using the traditional trade shows to introduced the Galaxy S III, Samsung held its own launch event for the device last month in the UK; essentially the same way Apple launches its iPhone hardware. Pre-orders in that country have already set records and early reviews of the device — already available overseas — have been favorable. The Android 4.0(s goog) smartphone uses Samsung’s quad-core Exynos chip for the HSPA+ version, but U.S. models appear to use Qualcomm’s(s qcom) Snapdragon S4 chip as Samsung hasn’t yet integrated LTE radios with the Exynos. The phone has a 4.8-inch, 1280 x 720 resolution display, S-Voice speech-to-text assistant, 8 megapixel rear camera, and Bluetooth 4.0 support to name a few of the newest features. And every model has the single hardware button found on the international version. A fast, widespread launch is also reminiscent of Apple, although it may show how well Samsung does, or doesn’t, compete against Apple’s production lines. There’s only a month or two lag between the Asia/Europe rollout and the U.S. Samsung already had 9 million pre-orders from operators and the company says it can only produce 5 million units per month and with a large launch, it’s possible to see shortages. What should help Samsung is even fewer changes and tweaks between carriers. With the prior model, different carriers had slightly different models of the same phone: there were different screen sizes, hardware buttons were either moved around or removed entirely, and even different silicon inside to power the devices. With the Galaxy S III, Samsung is going with one model that should have even fewer differences, save for the carrier name on the device itself. Such a strategy, combined with a solid device could help keep the new “king of smartphones” one step ahead of Apple.